The Secret Handshake Training Device looks to reinstate the idea of secret handshakes in a playful way. 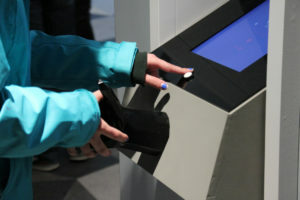 Sticking out of a box placed on a stand, an artificial hand invites visitors to shake it. When grasped, the device will offer simple instructions on how to use this training device, before sending a sequence of vibrations to each finger. The visitor is then invited to reproduce the sequence by squeezing each finger in the same order and rhythm. 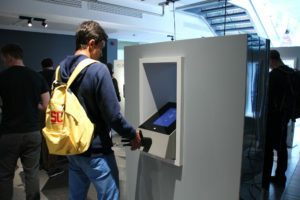 The machine will offer feedback on the trainee’s performance. Tapping into our muscle memory, the Secret Handshake Training Device offers the perfect way to practice and learn complex sequences and subtle secret handshakes to share identities and credentials between people.